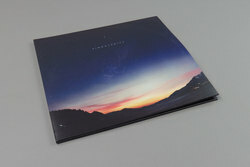 Jon Hopkins - Singularity. Vinyl LP, CD. Bleep. 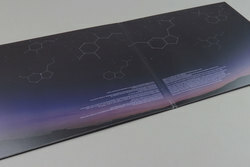 Starting in the same way as all his best records do; the first moments of the LP are mapped out around a slowly evolving arpeggio, one that from the word go instantly makes it clear that Singularity is surely one of Jon Hopkin's most arresting releases yet. While Immunity charted the dark alternative reality of an epic night out, Singularity sets out to venture further outward into the unknown, stretching the ideas behind Immunity further and deeper into new, thrilling yet uncharted waters. 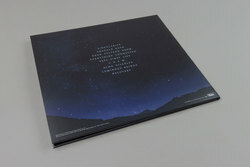 This new sense of adventure is achieved by Jon Hopkins' ability to sketch out vast emotive night lands to wander through, worlds without any obvious signposts for what is expected of you to feel, yet filled with music that strikes the perfect balance between inward and outer-reaching high life euphoria and more reflective moments of melancholy, both of which this is an absolutely necessary soundtrack for. 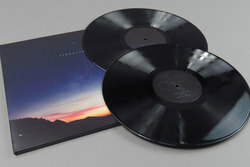 Throughout Singularity, there are many moments of clear clarity such as lead single 'Emerald Rush' which gave us the first house heavy bloom of what kind of sound Jon Hopkins was looking to sculpt in Singularity. In the true tradition of all great long players, it's a proper journey where each track feels like its own entire galaxy. Complete with soaring highs an epic, slow-motion downward facing lows. By the final note of each piece, there is a true feeling of completion and closure as you venture on to reach the next stage. Highlights for us are the soundwave slow life of 'Feel First Life' where we bask within the hollowed out drum-less moments of Burial's UKG classic Untrue. 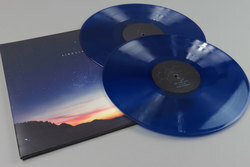 Yet the absolute key go to track has to be the 10 minute plus techno gear of ‘Everything Connected’ which sees Jon Hopkins channel the emotiveness of Alessandro Cortini's best work, yet plugs it directly into the software sensibility of Clark at his most techno. For an artist who has written melancholic shore-leave folk with King Creosote and oceanic ambient with Brian Eno, the prospect of Jon Hopkins returning to the electronic/tech sound of Immunity for his first new flex in half a decade is for many of us a mouth-watering prospect. Singularity is a truly epic experience from start to finish, one that flows seamlessly from rugged tech-house floor fillers to transcendent choral music, from solo acoustic piano to ambient with ease, confidence and clarity. Singularity is as vast a psychedelic, yet endlessly uplifting flight, that almost certainly will land as one of the best electronic records you could ever hope to encounter.